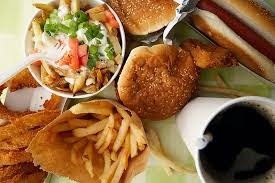 Anyone that has been struggling with unwanted weight will tell you that the most difficult thing to do is to stop eating fast food. When i say fast food, i mean all manner of food bought outside the home(pastries most especially) . To me, as long as its store bought, its fast food. lol. Fast food and weight loss are sworn enemies, Let me analyse 2 major items that are thought to be healthy and sold in food stores. 1. Salads: If you are buying salads from outside you got to be sure its not mixed with junk. Loads of sugar,cream and mayonnaise get mixed with these salads that if they were to list the ingredients down, some of us would faint, wake up and faint again! I personally, when i'm too busy i prefer buying the unmixed ones that is just plain chopped veggies, then add my own mayo or home made salad dressing to it. That way, i am sure of what i'm putting in my system. The difference between the plain unmixed salads and the already mixed salads, could be over 100 calories, we are talking 50 squats here! Choi! Can you imagine. Little things can actually make a difference. Did you know that the calories in a teaspoon (about 5g) of store bought mayo is a about 34 calories? And i use about that amount for a serving of salad. at least i am sure of what I'm eating. u get? 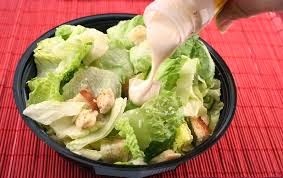 but the readily mixed salads in stores and eatries are well bathed and soaked in mayo and sugar!! 2. Moi moi: At first i thought i wasn't doing any wrong when i whenever i was out and a friend would say, "ok take moi moi, at least its not fattening" Like waaattt??!!! Yes, tastes great but lets get real here, do we know how it is prepared and what is added to it. Moi Moi is one of those meals that you don't really get to know what was added to it cus its all blended up. 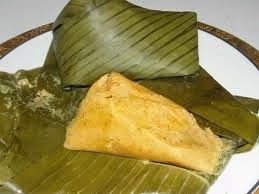 For instance butter, oil etc can be added to moi moi without us knowing the quantities in which they were added. The difference between your home made low fat moi moi and a store bought moi moi could be over 120 calories (a table spoon of veg oil). That's an extra 10mins of workout. This is just Salad and moi moi, so you can now imagine what meat pie, fried chicken, fried plantain and co can do to our weight loss efforts. These things do a lot to hinder weight loss, worst of it all is that it goes and settles in the tummy or bum bum region depending on you body type. Lmao! Don't get me wrong sweets, i am guilty of these things too, this is reality check for me. Lets stay strong and do the right thing most of the time. God bless. NB: I want to do a week of 'no-carb' from next week. who is in on this with me? Looking to lose at least 2kg. I will give details on this soon. Have a blessed weekend. This is my first time reading your blog and it's really inspiring. I'm in the journey of losing some weight too. I weigh 60kg at the moment and I'm 5ft 2. My major problem is portion control and the whole eating 5 times a day, with the our Nigerian cuisine it's very challenging. Need some advice on this. I also need a good meal plan. Thank you so much. Hello, this is my first time reading your blog, it's truly inspiring. I'm in the journey to shed some pounds, I'm 5ft 2 and weigh 60 kg at the moment. My main problem is portion control and this whole eating five times a day. With our Nigerian cuisine it's very challenging i need some advice and would really love to know how i can plan my meals, what to eat and how to eat it. Thanks in anticipation. Hi Chineme. Thanks for reading thru the blog. Portion control can be tough but I always advise using a baby size platr for all ur meals, that way u stay within the range. Another thing is to use ur palm and fist as a guide, ur portion of carbs must not be bigger than ur fist, ur portion of proteins must not be bigger than ur palm. U musnt eat 5 times if ur not hungry but u know what? If u are eating the right portion of food per meal, you should feel hungry every 2 to 3 hours of day the day making it about 6 meals in total. To make it easy for you, I have a fat loss amd detox diet plan on this blog. The diets plans have helped a lot of people. I plan to update it soon. Pls stay in touch and lets know how ur doing. Nigerian cuisine generally isnt that bad o, they are good and can help with weight loss, at least it worked for me. but u got to eat them in the right portions but stay away from some really starchy foods. Luv to hear from I soon dear. Good morning it's me again, could you please send me a link to the food plan or email it to me memeokafor@gmail.com. I would also like to know how I can get workout dvds for toning and losing belly fat. Those for strength training and cardio also. Thanks. Good morning dear, will mail u asap. Hi Ngozi. Thanks for the compliment. Pls txt or call me. My number is somwhere on the top left corner of the blog. Btw am sold out on all workout dvds except "walk away the pounds' by leslie sansone. Take care.